Bigjoe2 Power AMP audio amplifier from Firestone Audio Co., Ltd.
Hi-Fi Amplifier > Bigjoe2 Power AMP > Firestone Audio Co., Ltd.
BigJoe2 is a kind of Class-D Integrated Amplifier. BigJoe 2 can be running for a long time with high power efficiency?low power consumption. Four types of gain controls can adjust the power or amplitude of a signal. 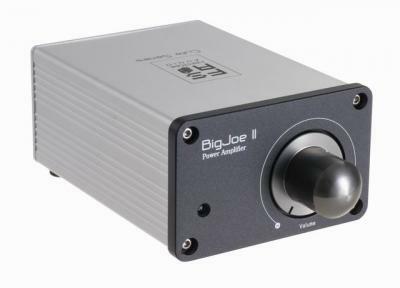 Also, the function of by-pass jumper can make BigJoe2 be a pure power amplifier so the user can select an ideal pre amplifier to connect together without worrying the problems of effect of sound and difficulty of sound control. Bigjoe2 Power AMP > Firestone Audio Co., Ltd.